The Harrogate Line between Leeds, Harrogate, Knaresborough and York is one of the busiest lines in the Northern Rail franchise. Hence there are several schemes planned for upgrading the track, the signals, the rolling stock and some stations. 5. No 36 Bus Service – Leeds-Harrogate every 10 minutes each way all day! Air, Bus & Rail services; Virgin Trains EC; 36 Bus Service 10 mins. Promises of more and more trains to Harrogate! 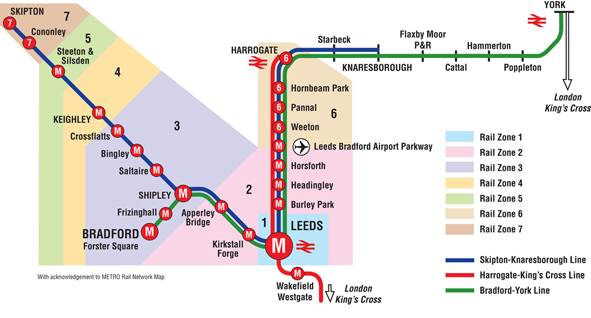 Pilot Proposal - Why Harrogate "Metro" Line? Harrogate Line Extra Trains - faster but non-stop? LBIA Parkway Station - Consultants' Assessment Flawed?